Perfect gifts that will inspire, build self-esteem, and make your love ones feel special and good about themselves. If you are looking for meaningful gifts; ones that will be remembered far beyond the holidays you are in the right place. 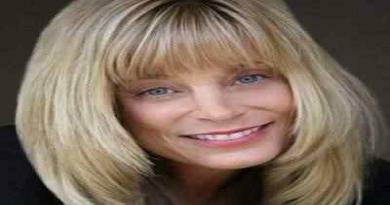 Look for something that will inspire confidence, increase motivation and boost self esteem to your friends or family. For anyone on your list might be trying to feel good about themselves and this is your opportunity to showed them your support. 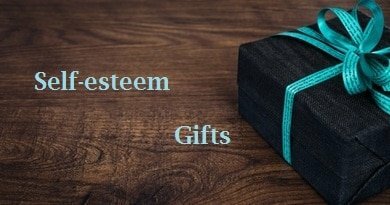 Click on the picture to find out more about the self esteem gifts. The perfect gift for someone that is working on self-confidence. This gift will help building self-esteem and confidence. It includes a gift box with a CD with guided imagery, and a Positive Energy 4-candle gift set. Give someone you love the luxury of relaxation. The key for building self-esteem!. This luxurious lavender set include a ruffled waffle cotton bathrobe and slippers, and embroidered “relax” fluffy towel, along with silky body cream, lavender bath salts, and lavender perfumed soap, and an assortment of wooden scrubs and massager. Guaranteed to make anyone feel good and to show that you’re thinking of her. You can personalize this spa gift basket by adding your personal gift message at checkout. Nourishing yourself is attainable, and you are worth the effort. Juicing offers many life-enhancing health benefits including a faster way to absorb immune boosting nutrients naturally found in fruits and vegetables. It provides a way to access digestive enzymes typically locked away in the fiber matrix of whole fruits and vegetables. Most commercial juices are processed and lacking in nutrition while freshly juiced fruits and vegetables are loaded with an abundance of vitamins, minerals and phytonutrients. This is the perfect gift for Health and even Fitness lovers. Breville BJE510XL Juice Fountain Multi-Speed 900-Watt Juicer by Breville. Gift-wrap available. It has 900-watt with 5 speeds. A 3-inch circular feed tube, wide enough to not cut the fruits; backlit control panel; dishwasher-safe parts. Easy to wash.Juice jug and froth separator, detachable spout, and cleaning brush included. Why Breaville? because is the official juicer used by Joe Cross on his 60 day journey throughout the United States. Battery Life. Up to 11 hours of reading, surfing the web on Wi-Fi, watching video, or listening to music. Up to 17 hours of battery life when only reading. Battery life will vary based on device settings, usage, and other factors such as web browsing and downloading content and much more!!!!!!!!!!!!!!!!!!!!! Sign Up To Receive The Self-esteem Newsletter These newsletters provide tips and resources to bring more awareness into your life.